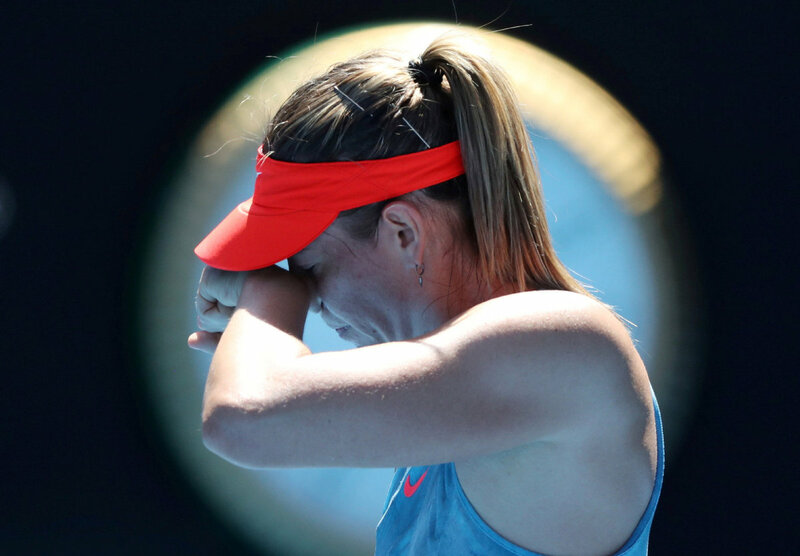 Russia's Maria Sharapova reacts during the match against Australia's Ashleigh Barty in Melbourne, Australia, Jan 20, 2019. Maria Sharapova says she has undergone a "small procedure" on her right shoulder that will need a few weeks to heal, requiring her to pull out of next month's Miami Open. Sharapova said she's struggled since last summer with shoulder pain caused by a fraying tendon and small labrum tear. She tried unsuccessfully to solve the problem with exercise. "Although this has been a very long process, I am incredibly committed to getting back strong, and more importantly without the pain I was playing with at the beginning of this year," she wrote Wednesday on Instagram. The five-time Grand Slam champion hasn't played since pulling out of a tournament in St. Petersburg, Russia, in late January after winning her first-round match. She won three matches at the Australian Open and is ranked 29th.